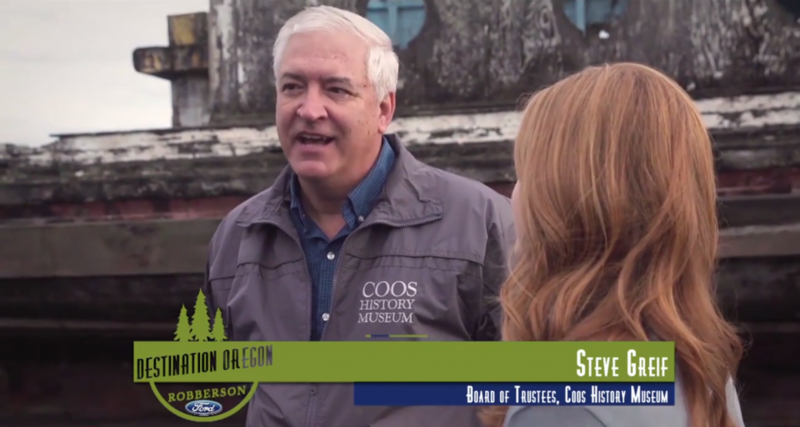 The Coos History Museum and board member Steve Greif were recently featured on a segment of Central Oregon Daily’s Destination Oregon. Check out the video to learn about how our beautiful new building came to fruition and get a glimpse inside the exhibit hall. Big thanks to everyone at Central Oregon Daily and Zolomedia for sharing our story!